Foundation is a cosmetic applied to the face to cover flaws, even the complexion of the skin, or sometimes use to change the natural skin tone. It comes with different types but here I'll be sharing with you how to apply the liquid foundation. Let's instantly dive into the steps. After doing your usual facial routine: washing - toning - applying moisturizer - sunblock then it's time to apply your foundation. Tip: To make your makeup last longer it's best to apply facial primer first before applying foundation and do make sure your foundation is closest to your skin tone. 1. 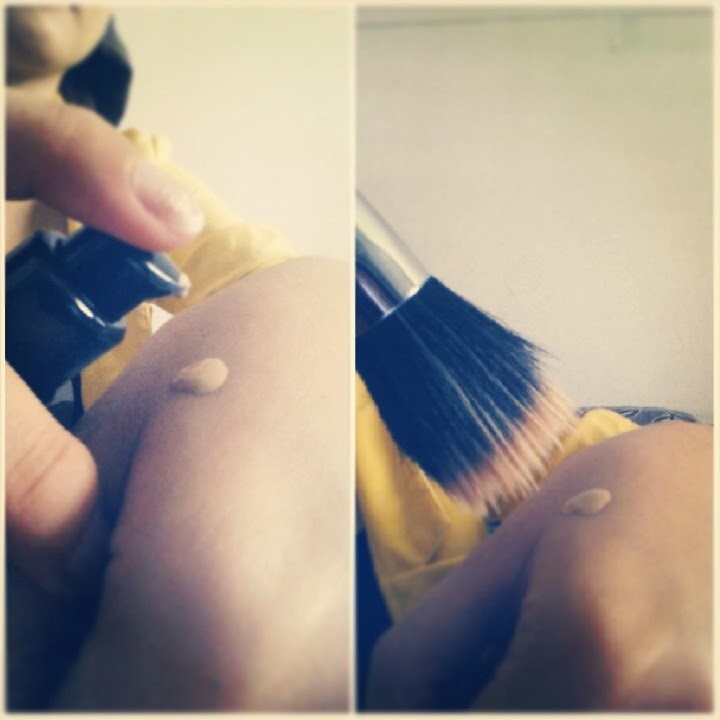 Squeeze a pea size amount of foundation on your wrist. 2. Using the stippling brush dab it on your forehead, cheeks and chin. Focus on the center of your face and make your way out. 3. 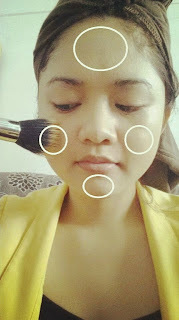 Blend the foundation on your face in circular motion. First in counter clockwise motion then reverse. 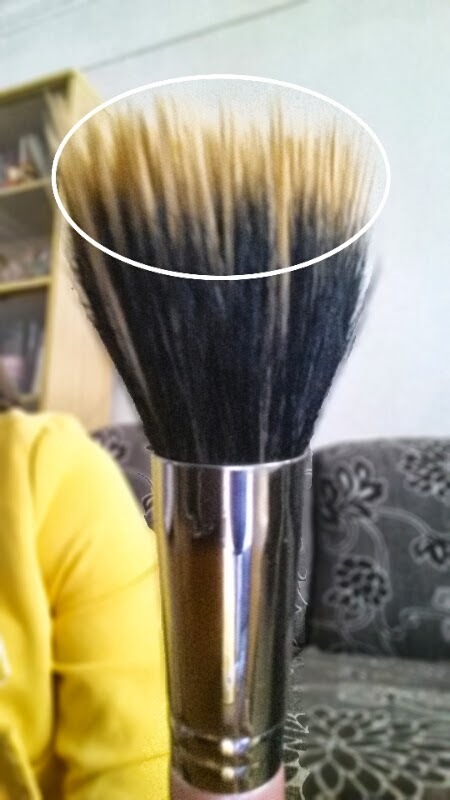 Note: Using the stippling brush use only the white tip of the brush to blend on your face. Be gentle and go lightly with your brush. 4. Look out for streak marks. I use sponge and press it lightly on my face to even out the application and get rid of those marks. 1. 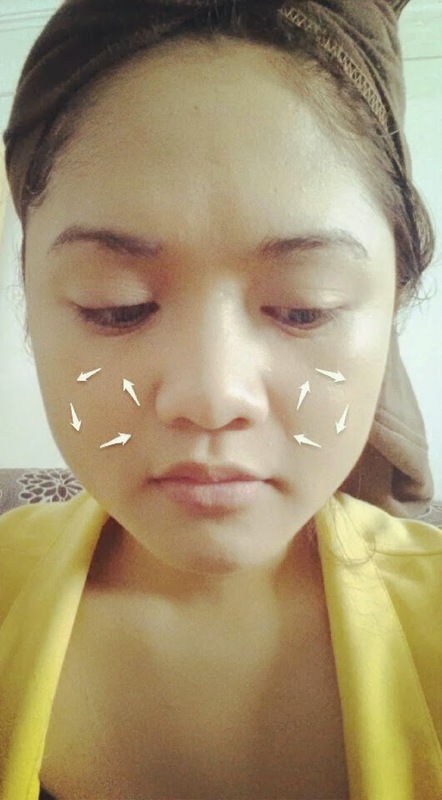 Apply small dots of foundation on your forehead, chin, cheeks and nose. Again focus on the center of your face and make your way out. 2. Blend the foundation using gentle strokes in the same direction. Follow the direction of your facial hair which is usually downwards. For the sponge use only it's edge to blend. Go lightly, lookout for marks and blend evenly. 1. Now I don't recommend this method but here are the steps. Make sure your hands are clean. Apply small dots of foundation on your face remembering to focus on the center of your face and on the areas you specifically want to cover. 2. Using your ring finger blend the foundation gently from the center of your face making your way out. Do not rub the foundation on your skin just go lightly. The reason why we're using the ring finger is because it has lesser pressure than the other fingers so you can control it easily while blending. So go lightly and gently and don't put a lot of pressure when blending. Love your face. Look out for marks and blend evenly. 3. Wash your hands afterwards. Build it up if you are not satisfied with the coverage. If you've noticed I didn't apply it on my neck area. I usually stop under my jawline because I want to avoid unwanted marks showing up during the day. Apply concealer to areas where spots or flaws are still visible after applying foundation. You can skip this step if you are satisfied with the foundation coverage though. Set with powder for a nice matte finish and continue applying makeup. Check out my post on how to apply an everyday make up look. Once you are finish then you are ready to go!